There are several traditional methods for creating starters for breads. All of these starters are easy to prepare. A starter usually consists of a simple mixture of wheat flour, water, and a leavening agent (typically yeast or a sourdough culture). After mixing it is allowed to ferment for a period of time, and then is added to bread dough as a substitute for, or in addition to more yeast. So pre-ferments are critical for best tasting bread – You can call it a starter, biga, poolish, preferment, or sponge – they all do sort of the same job and only really differ by water content. Biga and poolish are terms for pre-ferments used in Italian and French baking, respectively, for sponges made with domestic baker’s yeast. Poolish is a fairly wet sponge (typically made with a one-part-flour-to-one-part-water ratio by weight), while biga is usually drier. 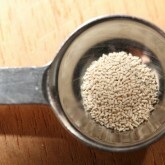 Bigas can be held longer at their peak than wetter sponges, while a poolish is one known technique to increase a dough’s extensibility. The primary difference between making bread with a starter and making bread with the direct or straight yeast method is that starter breads require much more time to prepare, but the flavor and texture of the bread is almost impossible to achieve with other leavening methods. Bread made with starters like poolish and biga also tends to keep better, compared to bread made from straight doughs. If you are working with pre-fermented doughs like poolish or biga make sure not to ‘over ripe’ your pre-ferment. This is especially true when using larger percentages of preferment in your final dough (think up to 50%) because over riping will kill the gluten in your preferment (the yeast will eat them all) and you will end up with a weaker and hard to handle dough. The higher the percentage of pre-ferment you use the more your bread crumb will have a nice chewy texture (but it stops at around 50%). We like our bread that way, it gives you something to chew on. 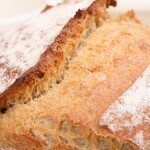 The sugars that are released from the flour in the pre-ferment also add a nice golden colour to your bread. Yes you can make the same bread recipe using a biga or a poolish, you just need to make sure you adjust the water content. You can make a poolish or biga from another type of flour than the one you are using for the actual bread. For example, we use spelt, rye or whole wheat flour to add extra (and different) flavours to our bread. You can prepare your poolish up to 8 hours but also up to 16 hours in advance. But you have to adjust the amount of instant dry yeast you use. Logically, the more time a pre-ferment gets, the less yeast you have to use. We use the smaller amount in summer when conditions are warmer, and the second, slightly bigger amount in winter. You make a poolish consisting of 200 g flour and 200 g water. You make it 12 hours in advance (typically the night before the morning of baking) and it is summer or a nice warm room temperature for the poolish to ferment in. 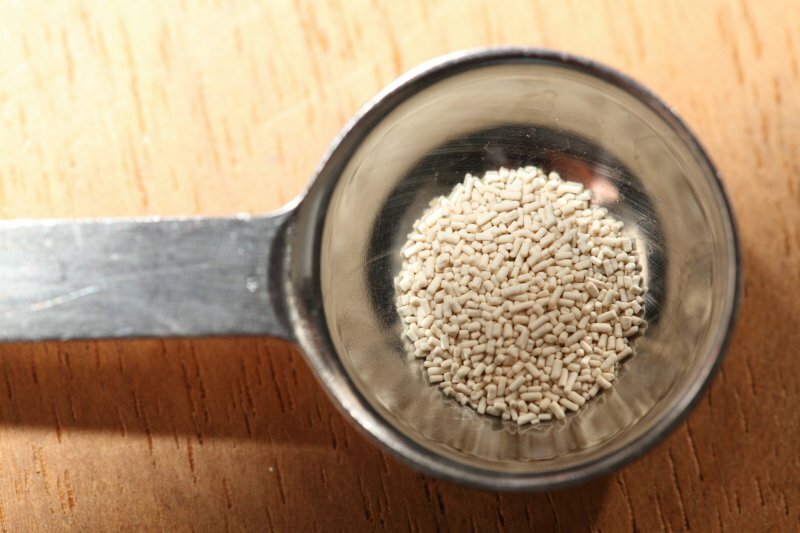 What does 0.1 gram of yeast look like? 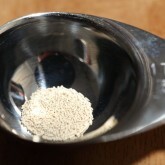 To give you an idea of how tiny the amount of 0.1 gram of instant dry yeast is we have made some pictures. 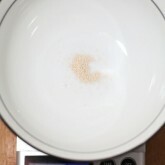 The third picture shows 0.1 grams of yeast in a teaspoon, the last picture shows 0.1 grams of yeast in a 1/4 teaspoon. 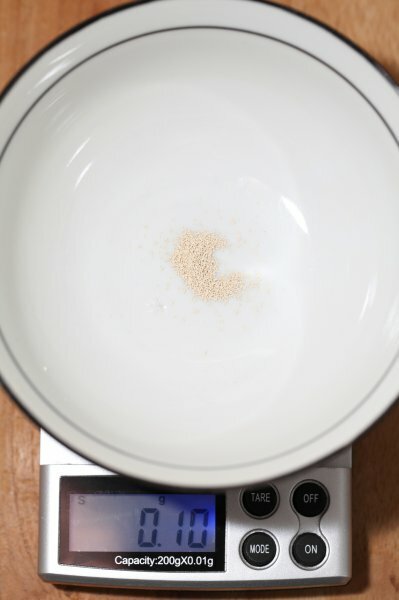 As the amounts used are tiny, especially when baking just one loaf of bread, a precision scale for measuring is something worth considering. 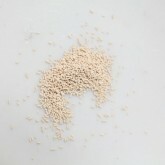 can I use caputo type 00 for making biga or is it too soft of a flour? You should check the protein content of your flour. If it is 12% or higher you can use it for bread and pizza no problem. The Caputo red has around 13% for instance. I use Dry Active Yeast, not instant … is there a way I can still achieve “biga/polish” results? I have a Artisan pizzeria, and use a smidgen of Beer Malt, and Diastatic Malt, with King Arthur artisan flour. 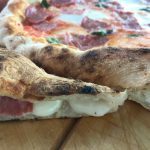 Enjoy and good luck with your Artisan Pizzeria! I have been following you for some years now, thank you for all you do. 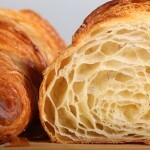 I have been enjoying this post on poolish and would like to ask if that formula above that talks about the hours > yeast needed, does this apply to your croissants as well? Using your 3 day croissant recipe as a guide, for a 12 hour poolish, how much instant dry yeast should we use for the poolish and then the remaining yeast for the rest of the dough? Does this make the 3 day croissant essentially 4 days? Have you tried our ‘regular’ 3 day recipe. It is really not necessary to make a poolish for this recipe. Because of the three day period the dough already has lots of time to develop. Because we have never made a poolish for this recipe, we cannot give you the exact amounts and times that would make for a perfect croissant. If you do want to try it try it with a smaller amount (like 100 grams flour) first and reduce the amount of yeast in the final dough too. You would have to experiment with a few batches to see what would be the optimum for your conditions (like fridge temp for instance). But honestly, we would not think it would add much to the recipe and it would be another ‘complicating’ factor. So our advice would be to stick to the recipe. Greetings and good luck with your baking journey! Can you add honey or other sweeteners to your poolish? We would not advice this. It is better to add these type of ingredients to the final dough. When should, when making polish, show some bubbles? This depends on the recipe, the amount of yeast or sourdough in the poolish and the temperature of your surroundings. Leaving the poolish at room temperature of around 20-21 Celsius, you should get an active poolish with bubbles within the given time. I have had a poolish in the fridge for 2 days, how can I keep the poolish alive/fresh by extending the keeping time before use, also for how long? Someone told me to dump 50% and add fresh flour after 4 days, what about adding more yeast? More time is not necessarily better, there are limits and turning points. We do not know what your objective is, by prolonging the poolish fermenting time, but we would not advice to do this unless you sort of must and find it a shame to throw it away. 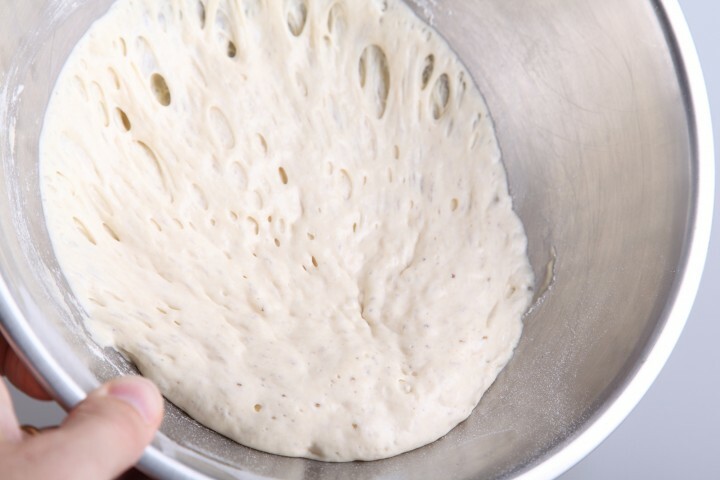 You are effectively making a ‘sourdough’ starter with yeast, wasting flour in the process. So, if this is your first time, we would advice you to get some experience with 8 and 12 hour (overnight) poolish before changing things. Plus, flour is food, so it can go bad and things can start to grow in it, so without experience, again, we would advice to stick to shorter periods and use the fresh and active poolish in your recipe. how much sourdough starter can be used instead of [dried/fresh] yeast? 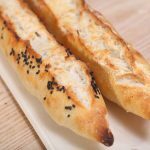 There is no chart for a one to one conversion of yeast to sourdough, because if you use sourdough in a recipe, other things have to change too. So, it all depends on the recipe how you would go about it. As an indication: If you would make a hybrid version of a bread recipe and use sourdough in the poolish and yeast in the final dough, then (with our own sourdough and knowing its workings) we would use around 10 grams of it in a 200/200 poolish and leave this for 12 hours before using it in the final dough. I was wondering if it would be possible to make poolish 36 hours in advance – maybe having the entire fermentation done in the fridge? I am experimenting at the moment doing that exactly, but I would also love to hear any sort of advice. Yes, that is possible, as long as you adapt the amount of yeast, which would be a very tiny amount of course. We would advice to use the fridge for this period. Take a look at the San Francisco sourdough recipe for example and the method. Maybe something you can work with if you want to try a sourdough loaf. I love the 80% hydration baguette video, and I’ve tried it but found it extremely challenging to shape. So I’ve decreased the hydration to 70%, and noticed the dough isn’t as supple as the one shown in the video. Is that solely due to the percentage of hydration or could it also be the amount of yeast and prefermented time. I used 280 g flour and 280 water, with 2 g of instant yeast. I’d realized that’s way too much yeast according to your calculation chart above. If we understand your comment correctly it seems you changed the rules of the game a bit, maybe changed different things and upset the balance of the recipe. It is always best to change only one thing and to know why and what you want to achieve. So if the dough is too wet for you to handle, decrease the hydration to around 75% (still a bit closer to the original) and try again, without changing other factors. 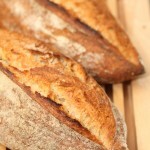 You can also start with our other baguette recipe which has 75% hydration and a slightly simpler method in less time. 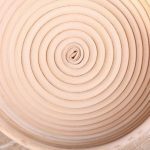 You can build up some more shaping experience and come back to this recipe to give it another go. Is there some easy way to convert instant yeast measures to rye sourdough starter measures? I have at least one recipe that I often bake that involves yeast. I’d like to use sourdough starter instead of yeast, but I have no idea how much starter would be equivalent to a teaspoon of instant yeast. How much yeast goes in with the final mix of the dough? I’m trying to use a poolish for a recipe with 700g wholemeal spelt flour, 10g, 510ml water and 7g of yeast. So the poolish will be 350g flour, 350ml water and 350/100*0.2=0.7 (it’s winter, 12h poolish). When this is done I mix in the remaining 350g flour, 160l water, salt, but then how much yeast? Or does the 0.7g of yeast replace all of the 7g in the original recipe? This question slipped under our radar somehow, but our answer is that, (depending on the recipe and your goal) there does not need to be any extra yeast in the final dough, other than the yeast or sourdough in the poolish. It can be enough to develop the final dough. However, it is important that the poolish is bubbly and ripe but not over-ripe, because otherwise you have a big chance your dough will be slack. Our second remark : Yes, you can add extra yeast to the final dough to speed up the process for reasons of time or maybe also texture and taste. The amount in the final dough will always be less than you would put in a straight dough, but again depending on the recipe this may vary. In the example above we would suggest trying a version with 2 to 3 g instant yeast and see how that goes. We just back from Kittery, Maine. The young Baker at a small cafe was kind enough to give me her recipe for a mild Rye bread ..and a Baguette. Both were very good. I am puzzled .The Baguette calls for both a Poolish & Levain. Why? Thank you for your comment. We think it would be best to ask the baker herself, because we have not really an idea about the how and why of this recipe and what the objective would be. We use combinations for a hybrid version of a loaf with sourdough culture based poolish and a small amount of yeast in the final dough to get both an intense flavour with a hint of sour and more speed during final proofing and also a certain type of crust. So we can imagine the answer would be along those lines. my husband made wine from our peaches and I was looking for ideas for using the lee’s. I found a suggestion online for making a poolish with it. yesterday I mixed 250 g peach lees with 250 g ap flour. this morning I can see it’s been working but it’s not as “bubbly” as other images I’ve seen. my question is how soon should I use it in a no knead bread recipe. and do I adjust the amount of instant yeast in the recipe? this is my first attempt and I’m not an experienced bread maker! thank you. It sounds interesting and we do understand the word lee’s (sort of) but we have no experience in using it when making bread. We don’t know how long you can keep it or soon need to use it. Our suggestion would be to use it without adjusting the amount of yeast and take it from there. Just keep an eye on the dough so the poolish will not over-proof, if it is under-ripe that is far less of a problem, you can use it and as long as the final dough proofing is good, the bread will be too. Hope somebody else can add some more knowledge to help you. Good luck with it and hope it will be a success! Wine (fruit) yeast and bread yeast are not the same and have different tolerances to alcohol. 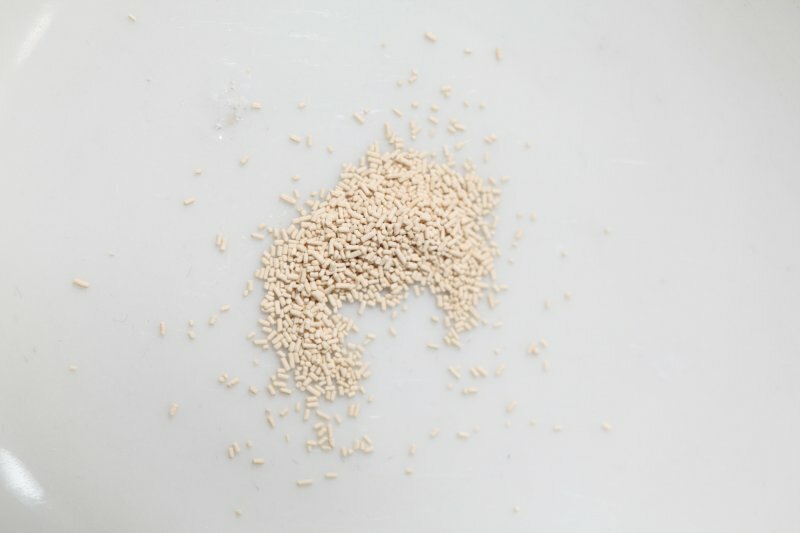 Using these yeasts will result in a lower quality bread, sacrificing alcohol and flavor. The lower amount of gases you see makes sense because wine yeast will output less CO2. Thank you Jon, for your information. How long is too long to let my polish ferment? What would it look like if I left it too long? If the poolish is over-ripe you will recognize this mainly by looking at the consistency. The poolish becomes thinner and eventually turns soupy. There will also be a rim / line in your bowl from which you can judge that the poolish at some point reached this point and then retreated / collapsed. So if you need more time, reduce the amount of yeast or use the fridge to slow down the process. Great explanations. I’ve been making artisan bread for many, many years, with inconsistent results. My biggest problem is the crust, which, sometimes, tends to be tough, rather than crispy. My recipe is 3C flour (KA all purpose), 11 oz. water, 1/4 tsp yeast (for straight dough) or 1/16th tsp for overnight development. I always employ the autolyse before adding oil and salt.I get pretty much the same results with either the straight dough method or using polish: great open crumb, but a crust that tends to be tough. Any advice? Or could you recommend some reading material that might help me? Based on what you write we would advice you to look at the baking time and temperature of your loaves. Make sure the loaf is cooked. A guideline to check if your (high hydration) loaf is done, is to measure the core temperature with a digital probe thermometer. For wet dough, the core bread baking temperature should be around 96C/ 205F (The ideal average bread core temperature should read 93.3C / 200F). The reason being getting rid of the excess moisture still present in the dough. The excess moisture in the core would otherwise soften the crust while cooling, and with a too low core temperature, the crumb will not get the chance to fully stabilize. If you want to make it all yeast, just use 0.5 grams / quarter teaspoon yeast in the poolish. And maybe try a different bread flour too, instead of all purpose. Thomas Franco – adding a small quantity of sugar will yield a softer crust – if that’s what you are after. Thanks for your help. An added note of info — I’m really very temperature conscious, test after mixing, turning, etc, and always bake till the core temp exceeds 205°. Usually it hits 208°-9°. However, I may be short on bake time, 20 mins. I’ll try 25 mins. and see what happens. Based on your amount of ingredients we think that is a good idea. Hope it will be great! Hi, i have a question about using poolish in sweet dough like brioche and danishes. Would the taste be better? How do we keep feeding the poolish (measurement)? Or we need to make new poolish every time we make bread? All these different styles will have a different outcome. In general, longer proofing will at more taste, also different taste and lighter texture. You just have to try different things / recipes and see what you like best. Yes, poolish is something you make every time , so not something you feed and maintain like a sourdough culture. Thank you for your enthusiastic ‘shout-out’ Ian! Hi, I am about to try making a loaf using a biga so this post was very useful. Any thoughts on using fresh yeast rather than dried to prepare the biga/poolish? The percentages in your schedule look a bit odd. I assume you mean 23% not 0.23% etc? I misread the percentage thing – I thought it was the proportion of biga to use, not the amount of yeast to start the biga. It makes sense now! You solved it yourself James. Happy baking with biga! I have a Biga recipe that allows it to remain in the refrigerator for up to two weeks. The Biga can be used as needed during that time. My question is, does the biga need to be fed at anytime during the two week period and how does one accomplish that? We cannot really give you any directions without seeing or knowing this recipe and we are not familiar with method (we see a biga as a preferment and not as a culture that needs to be fed). You usually use this type of preferment within 8 hours to maybe a few days, or that is at least the way we use it. Perhaps it is best to ask the inventor of this recipe. very useful information and precise steps n method. thumbs up. Thank you for sharing and happy baking weekend! Another day……another question 😀. I should keep meticulous records but I don’t . My original sourdough starter was whole rye with 100% hydration. I may have added a pinch of sugar. That is neglected in the refrigerator. I used a portion of that and have fed it all purpose flour regularly with 100% hydration to use as my starter when baking. The APF starter that I use regularly smells of yeast and alcohol and is very active……it’s great. The original rye starter smells of alcohol with a hint of acetone. Could you maybe tell us what your question to us is exactly, it is a bit hard to deduce. And you put sugar in your starter you say? Was that by accident or …? The hint of acetone we would want to get rid of, so it needs refreshing a bit sooner or try to do some extra stirring during the day to incorporate more oxygen (The ‘nail polish’ bacteria do not like oxygen but the yeast and the good bacteria do). I’m obviously doing something wrong. Your answer was good despite my vague question. My starter spends all its time in the refrigerator. I assumed it would just shut down and wait to be revived. I didn’t realize another microorganism would exploit the 41F environment left behind by the dormant yeast. I shouldn’t be surprised because everything spoils eventually. I put a pinch of sugar in when the starter was slow to show activity. I was impatient and Eric Kayser puts honey in his levain. I am curious why my starter shows no acidity……my sourdough isn’t sour. Could it be a yeast only levain? Is it being kept too cold before the beneficial bacteria get a chance to flourish? After you validated my acetone suspicions I went on an internet search which ended on Wikipedia. Apparently and totally by neglect I may have stumbled upon ABE Fermentation, the source of acetone during World War One (in my refrigerator). MAYBE I should watch my experiments more closely! Just maybe……. ! Or follow your instructions to the letter. Acetone–butanol–ethanol (ABE) fermentation is a process that uses bacterial fermentation to produce acetone, n-Butanol, and ethanol from carbohydrates such as starch and glucose. We are not enough chemist to know what role the addition of your sugar plays in this process with the lack of sour and the production of acetone. But you know we will always advice you to start over with your culture if and when there is even a hint of doubt. So fluffy stuff, odd colors and persistent unpleasant smells…make a fresh start! As I understand it, you can increase the “sour” in your sourdough starter by reducing the hydration. You can also increase it in your dough by long slow fermentation in the refrigerator. The higher the hydration, and the more rapid the fermentation, the milder taste. Also, keeping the alcohol in the starter, and not pouring it off, makes for more sour. I like the natural levain that I refresh regularly and use for baking. I don’t call it a sourdough culture. It was the unused portion of my original culture that turned anaerobic and became a curiousity….It was never used to levan bread. It’s trashed. I was just surprised to find a biological source of acetone and happy to get an explanation. Thank you for your help! I made my first 100% sourdough bread on Friday. The bake was both successful and unsuccessful. Successful in that the crumb was airey and really nice as was the taste. Unsuccessful in that the dough was difficult to handle, and the loaves slumped. My question: Is 75% hydrated dough really wet and hard to handle, and will loaves made of this dough hold their shape? 75% is indeed a high hydration loaf and what the end result will be also depends on the flour you use, the amount of protein / gluten in it and gluten development and the shaping. So it is very well possible for loaves like these to hold their shape, but you need to consider the above. Look at this recipe, maybe it’s a good one for you to try. It’s 70% hydration and we give lots of tips that might help you. Or you can take it down a notch with the recipe you tried and go for 70 to 72% hydration. Make sure you use the right strong bread flour. Hi Marieke and Ed, the more I bake, the more questions arise. I started with straight dough, moved on to poolish and bigas, and took the leap to sourdough hybrids….combining a levain and a poolish. Every loaf is an experiment……hydration from 61% to 75%, flour protein levels. The perfect baguette is elusive…….an open crumb with a crackling crust AND la Grigne and loft. A wet dough makes an open crumb but lacks loft . A drier dough has more loft but a dense crumb. Steam is essential for loft. My oven barely approaches 500F. La Grigne seems easier with a drier dough. I think my steaming method is pretty good. Are my assumptions correct and how do I get it all? Sometimes I use small amounts of whole wheat or durum for flavor and color. I’m having a lot of fun but perfection has been elusive. You’ve been great teachers in the past. Thank you. So maybe try and experiment with that and see what difference it makes (also in taste for that matter). And we have to be honest, our stone oven produces better looking loaves than our household oven. Hope you will keep up your enthusiasm and ‘crack the code’, good luck with it! Thank you. You are always so generous with your knowledge. Three years ago I couldn’t bake supermarket biscuits. I do use a premium brand flour but have recently discovered a local source of flour from wheat actually grown in New Jersey! Keep up the great work you do; I’ll keep trying to improve. If air temperature is cooler than 68F should I extend the ferment time of my poolish? The directions say it should triple in volume. I’m frementing in 6qt graduated container. When first mixed, volume was at 1qt and after 16 hrs it was very bubbly but did not even double in volume. I’m working with it as is, but wonder if I should have waited longer? It is 50% of the final mix. I think it’s the air temperature too. Our house is kept much cooler overnight in winter. What do you think about keeping it in oven with light on? Temperature is about 85F. Not sure if that’s too warm? On the positive side I baked the bread described earlier and they look beautiful. Cooling now. Will have for dinner and hope the flavor is as good as it looks. As you might suspect, I’m new to baking bread. I’m worried that I might miss it’s peak and over ferment. Any suggestions about knowing if that happens? At if it still has time to go? Your poolish should be domed and bubbly. If it’s sunken and pulled down on the side of it’s container, it’s over developed. Just add more flour to revive it, and let it rise again. Hi , I made a Biga Acida creating a poolish this way . Have baked first loaf , looks good enough for toast this morning !! What do I do with or how do I refresh the remaining poolish in the fridge ????? I have no clue at all , do I weigh it and add flour and water ? Quantities ?? Pls help me ..
A poolish is something you make exactly the amount you need for your recipe. So it is not something you refresh like you would a sourdough culture. Depending on the recipe, the amount of poolish combined with how much yeast or sourdough is in it you need to use your poolish within a certain time frame, otherwise it will over-develop. Normally you make a poolish as a percentage of the flour you use in the overall recipe. So for example you make a loaf which has 500 g flour in it. You decide to make a poolish with 200 g flour and 200 g water. This poolish you leave to develop and this is added to the final dough when nice and ripe and bubbly. You subtract the flour and water you use in the poolish from the flour in the final dough. So you have 500 g total flour and there’s already 200 g in the poolish. The final dough needs 300 g flour and the poolish with the 200 g flour in it to get to the total of 500 g again. Same with the water. Hope we made it a bit clearer. It can be confusing, sometimes people use one term when they mean something else, which does not help. Keep up the enthusiastic baking. Are you familiar with a TangZhong starter/water roux? If you have, maybe you can help me. I have made that bread a few times. It always comes out very soft, tasty, and is gone usually the next day. I would love to be a able to incorporate a water roux, a sourdough starter, and poolish or biga all at the same time!! I’m having a problem with my sourdough bread. My starters are going good. They are rising to 2 to 3 times their “pre-fed” height, so I don’t think that’s their problem. Unfortunately there isn’t much flavor in my bread. The only thing I can think of is the yeast must be a very mild strain. I would love to be able to get the softness of a water roux, and a poolish/sourdough starter/or biga. It’s kinda hard trying to know if I am using the same word(s) only in a different way! I realize there isn’t much hope of having my way when I’m wanting my bread to be as tasty as I can get it. I really appreciate you taking the time to read about my bread issues!! Sorry but we do not have enough experience with this bread to help you and are not sure what it is exactly that you want to achieve and why you would want to try so many things at the same time. Our advice would be to just give it a try, maybe start a new culture next to your old one, and see what the result would be. Not much harm in some experimenting, all that can go wrong is you might spoil some flour but you could also invent something new and potentially very good. The result was delicious. However, I am not a huge fan of the light fluffy texture of tangzhong for my cinnamon buns. I want more body with the tenderness(but not overly rich). So I will continue to experiment. Why do i get hooch using whole wheat & instant yeast? We only see this when a poolish is over-ripe. We would advice to use less yeast or decrease the time. Ed/Marieke, can you substitute a poolish/biga made with yeast for a poolish/biga made with sourdough? If yes, how does one calculate it? And besides the sourness of the sourdough, is there a big difference in the recipe result if you use yeast instead? I ask because I can’t keep/maintain a starter right now (eventually I will) but I’d like to try your other recipes to experience making them. Yes, you can Douglas. Depending on the room temp and the activity of the culture a good starting point would be around 10 g of active culture added to a poolish based on 150 to 200 g flour. It also depends on the rest of the recipe of course, but with a few rounds you should get it right for your conditions. As for your second question, the biggest difference will be the taste but you will also notice a difference in crumb and crust, because of the longer proofing times of sourdough compared to yeast based breads. Thank you! What about making the polish with instant or dry yeast instead of an active culture? Or are you saying I should activate 10g of yeast in water first and then add it? Appreciate your fast reply times and look forward to new posts. If I want to substitute a natural yeast starter for a sourdough one in your recipes, can I do so and at what ratios or substitution amounts? – I believe your answer above is to this question. If I want to substitute instant or dry yeast for a starter in your recipes, can I do so and what ratios or substitution amounts? No problem. I myself am confused. Some of the stuff I read makes it sound like the natural starter and sourdough are separate, others switch back and forth between the terms. I’m now leaning towards the idea that they are the same thing. 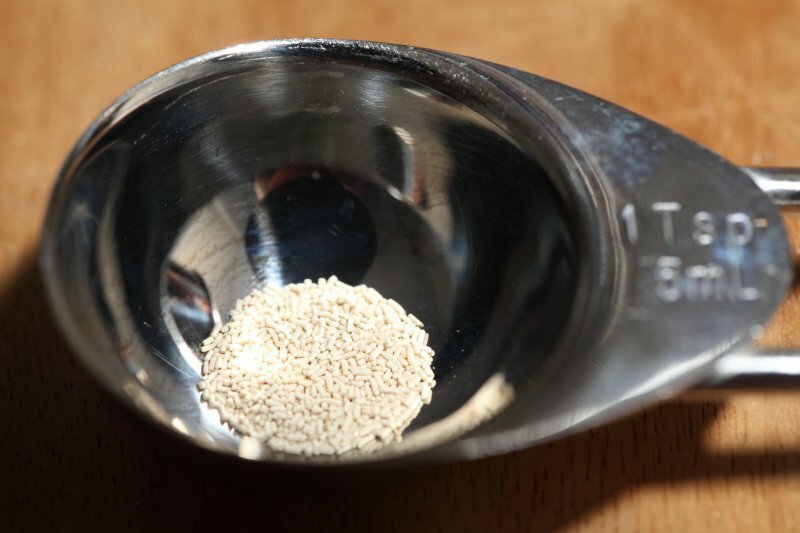 Try the question again: what baker’s percentages would you use if using an active culture instead of instant yeast? For 8hrs, 12hrs and 16hrs in advance? based on the method we use, that would be around 3 to 4 % for up to 12 hours for a sourdough loaf, but it also depends on the activity of your culture. So it is really more about finding out the quirks of your own culture (they all do have them compared to the reliability of instant yeast) in combination with temperature and amounts too. Good luck with it and yes, the terms can be so confusing, especially when indicating the same with different words. In the end it’s fast or slow, it’s all yeast!